What I first noticed about the Essence brand was the very affordable prices and I confess that I was a bit skeptic about the quality. 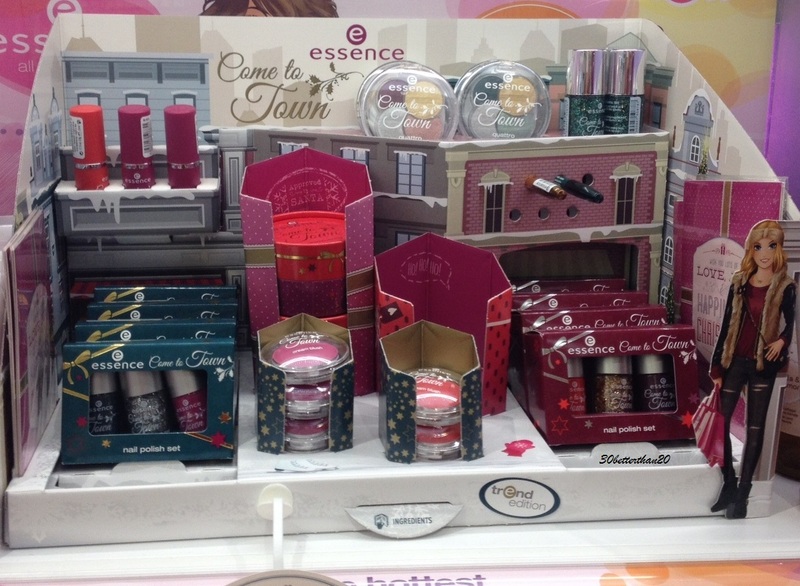 It took me quite some time before trying one of their products, especially when the Essence stand is right next to the Catrice one, and every time I wanted to pick something from Essence, I end up putting it back and purchasing something from Catrice instead. This has happened for the past 2 years until the “Come to Town” collection appeared: it caught my attention and there was not a single product that I did not like, but I refrained myself because of storage space and the numerous lipsticks and similar eyeshadows I already owned, not to mention the fact that my nail polishes recently required a larger storage space. I ended up buying 2 eye pencils (02-Naughty or Nice? and 03-The Most Wonderful Tree) and one cream blush (02-Wrapped in Pink). 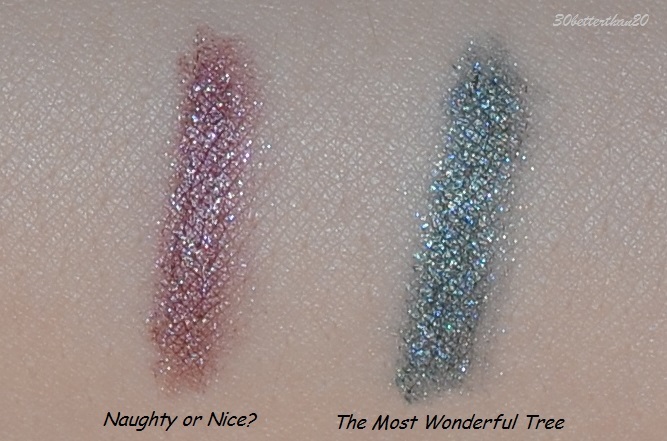 The eye pencils are really nice, all of them are a formula with glitter, but when applied on the eye, the glitter does not stand out as much as in the swatches, it is actually really nice, with only a hint of sparkle that gives a holiday note to your makeup. They are really great even together, I used the green one on line the inner half of my top lash line and the brown one on the outer half of my top lash line. Regarding wear time, the eye pencils started to wear off on me 4 hours after application, but what was really good was that I did not have a lot of fallout glitter and also that it did not leave a “print” in my crease area, like a lot of eye liner pencils do. Given the price of EUR 1.95, it’s a good buy in my opinion. However, contact lens wearers should be careful, as the glitter might get into the eyes. I will wear them only when I wear my glasses, just to be on the safe side. 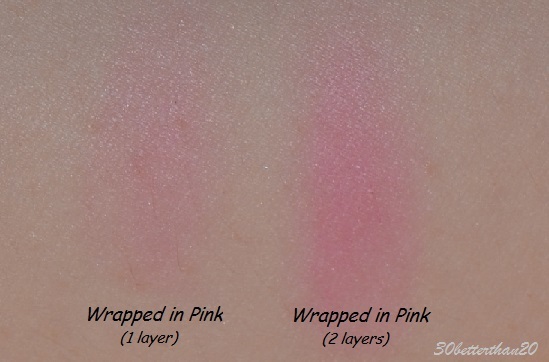 Although the blush has a pretty common color, I really like that it has no shimmer, so I can use it as a base for both matte and shimmer blushes. It is also fool-proof, as it is not crazy pigmented from the beginning, but you can also build it up, if you want an intense color. These are my thoughts on the collection. If you would only buy one product, I would say go for the cream blush!